Review: LUX Soft Touch Body Wash & Soap + Giveaway! I am usually very cautious whenever I use different soaps or body wash because of my forever skin allergy. I was hesitant to try LUX at first because my skin usually goes ballistic over scented anything-- soaps, perfume, lotion, etc. But to my surprise, it was a pretty smooth (literally & figuratively) & delightful experience. Scroll down below to know more! What do I love about LUX? Aside from the super pretty packaging (I feel so babae with all those pinks & flowers hehe), I especially love (gasp!) the scent! 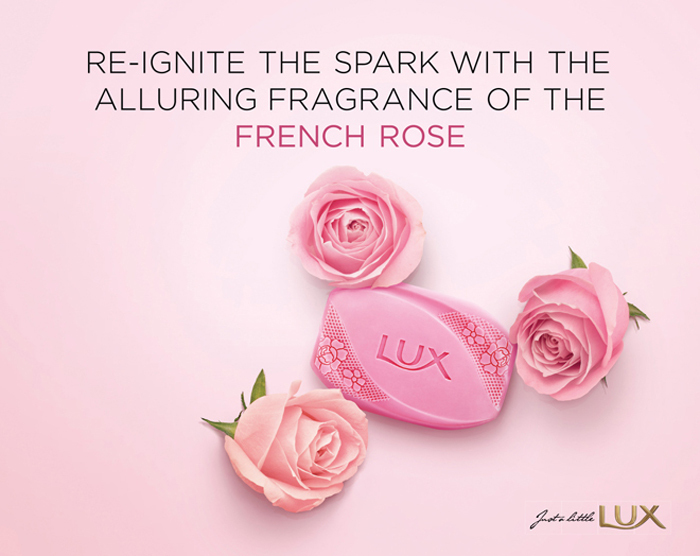 The sweet, french rose scent doesn't come off strong, it's just enough to keep you smelling fresh all day. After bathing with it, you'll feel your skin becomes softer & smoother. This body wash locks in moisture because of its light creamy layer. It also contains silk protein extracts which targets your innermost skin cells. Prettiest soap I have ever seen. Love the design! How do you re-ignite the spark with LUX? P.S. Here's some good news!! !